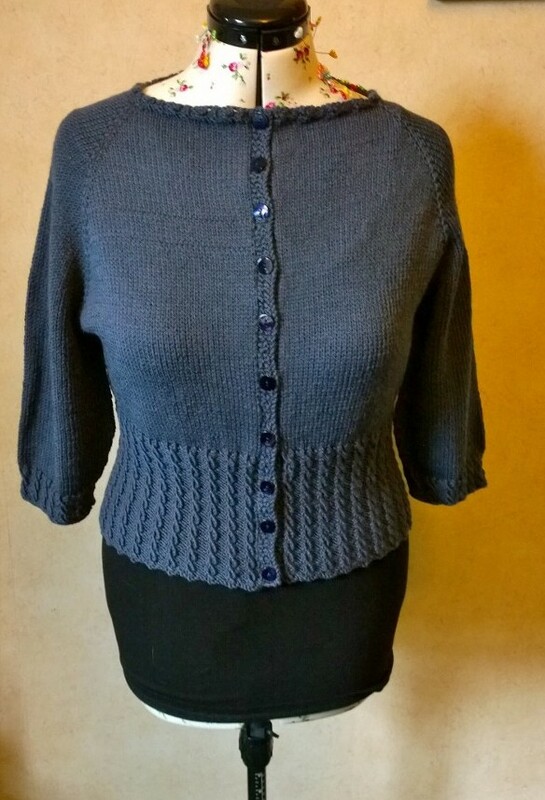 This entry was posted in Finished Knitting Projects and tagged cardigan, knitting, peggy sue cardigan, ribbing pattern, vintage knitting, wooly mammoth knits. Bookmark the permalink. It looks so nice on you! 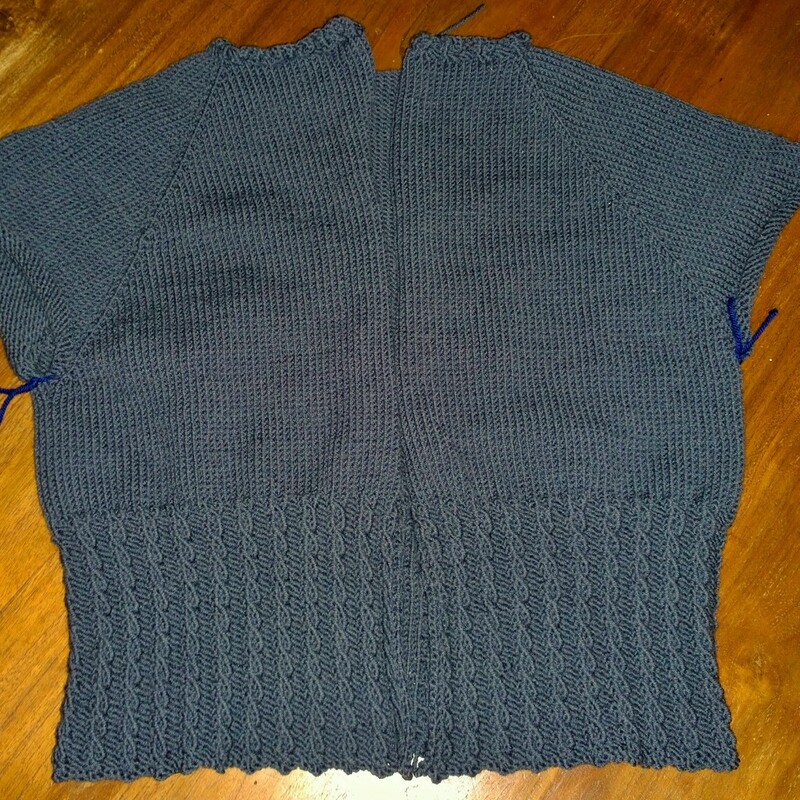 The cable work is really pretty and I like how you lengthened the sleeves. I think the three quarter length sleeves work better with the colour, glad I had enough yarn left to do them! It’s really lovely – the cable is so delicate. 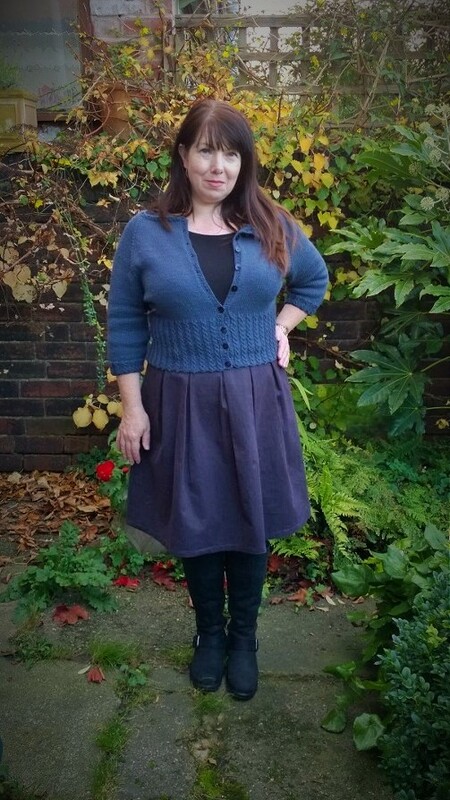 I haven’t ever made one of the top down cardigans – maybe a 2015 project for me! I think you completed it quickly if you only started in May and have whipped up another one inbetween. I bought the Burda knitting book today which has some interesting patterns. Have a creative weekend! I really love the top down all in one knits as there are no seams to sew (I’m terrible at seaming!) I highly recommend giving one a go! 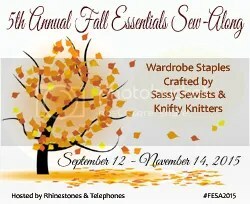 It is a gorgeous cardigan so I can see why you’d want another in your wardrobe, but I’m with you on the acres of stocking stitch! I get bored very easily! 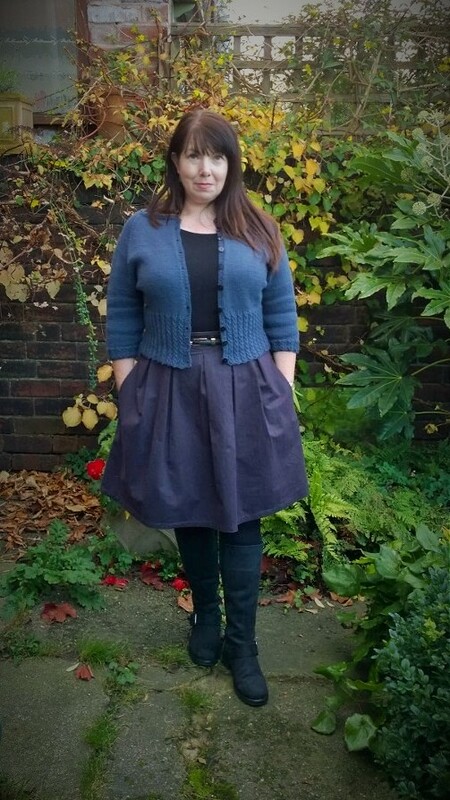 Well done for actually finishing it too, I have an unfinished cardigan in my sewing room which I am ignoring but I might pass it on to my Mum to finish! 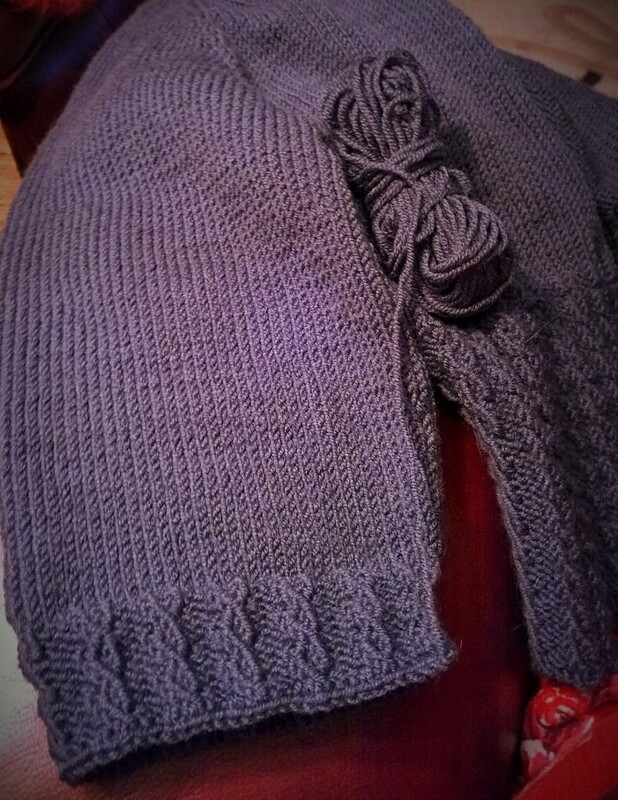 I’m such a slow knitter, the body seemed to go on forever, I was so tempted to give it to my mother in law (who would have finished it in a week) but I really wanted to do it myself just to get that sense of satisfaction! I admire your perseverance. 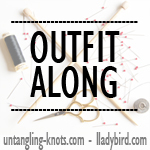 Knitting is just too slow for my personality, I think! Your cardigan is beautiful! I’ve just started a hat, I think I need something quick and easy after spending so long on the cardigan! 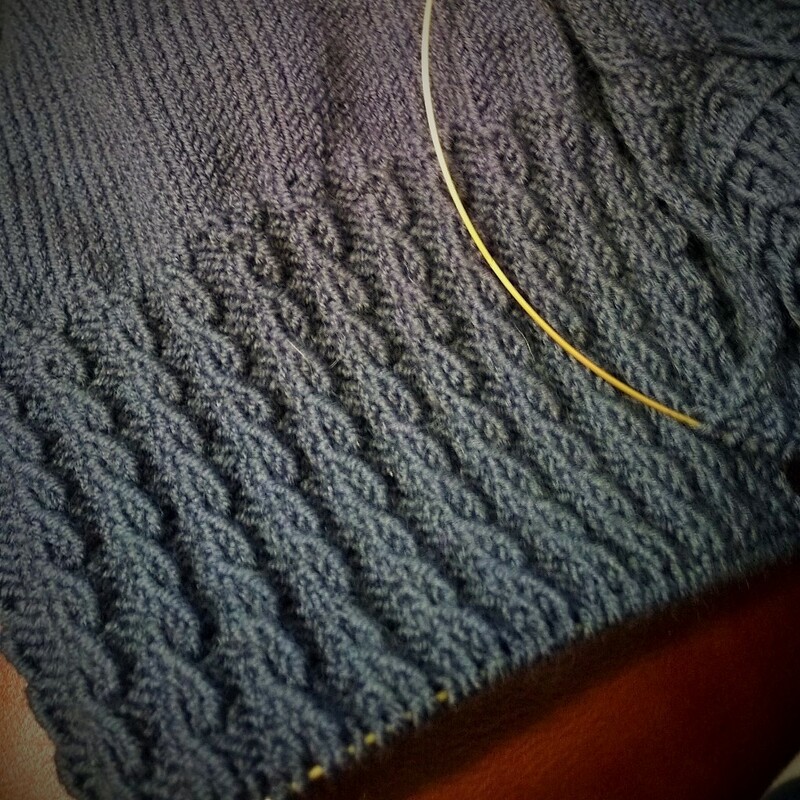 I really like the raglan styling on the sleeves and the cable ribbing adds a bit of interest. I agree with you that sometimes it’s easy to lose the will to live when faced with those endless rows of the yoke! Well done for persevering 🙂 I confess I’ve been frogging a lot of my ufo’s lately as after 2 to 3 years I figure I’m not going to finish them. I think I’ll try something in bulky or worsted weight next, at least they will knit up a bit quicker! I always wish I could knit better at this time of year! 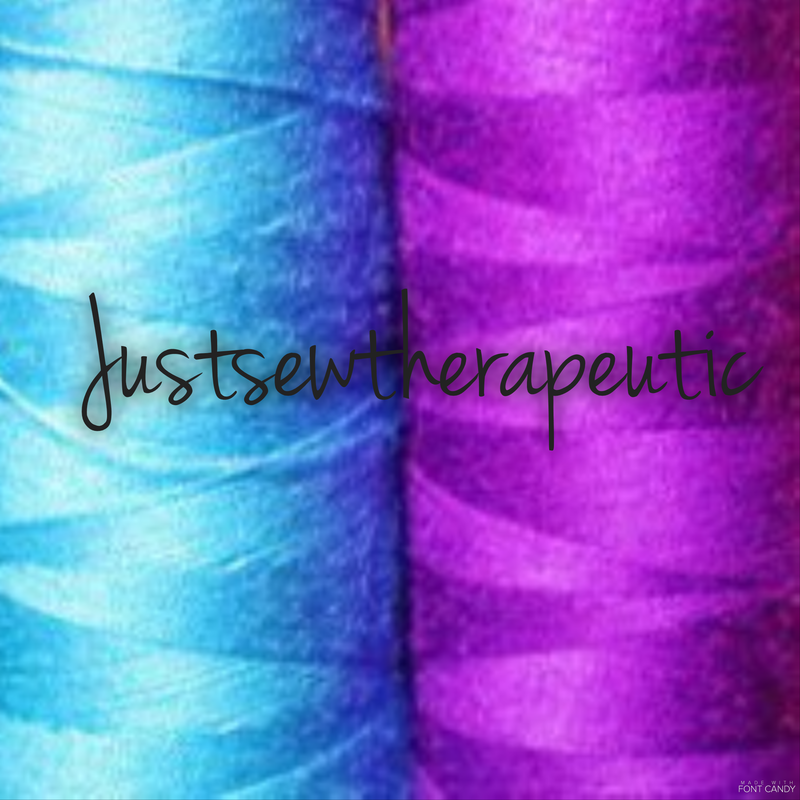 This looks lovely on you! Beautiful! I have one whole skein for the sleeves and I was planning to make them longer and needed a few tips on how to do it, so thank you!